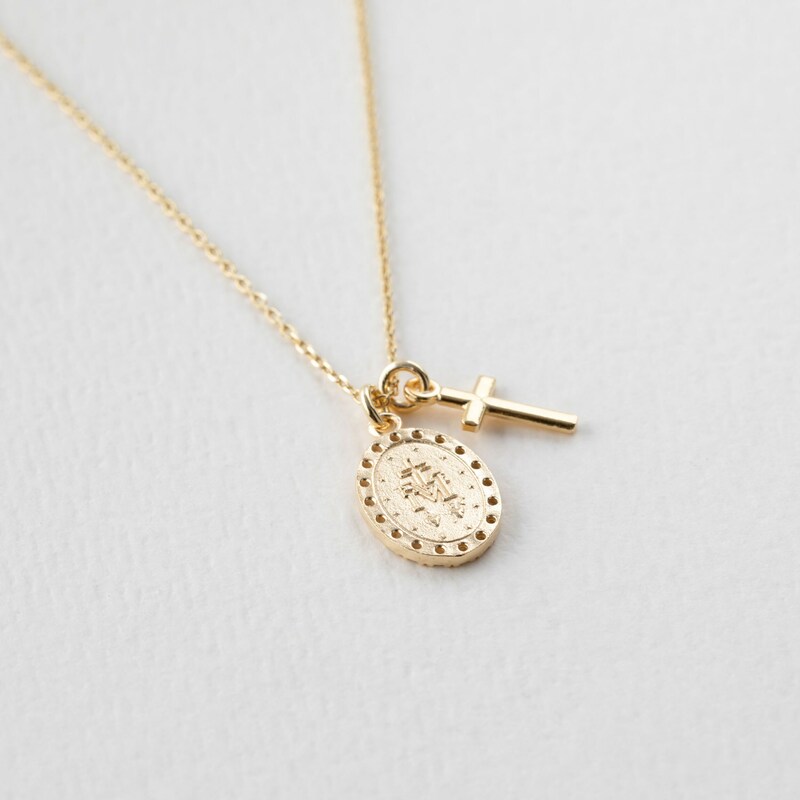 - 1micron, 18 carat gold plated on 925 sterling silver. The Mary Virgin and a cross are dangling from the chain. 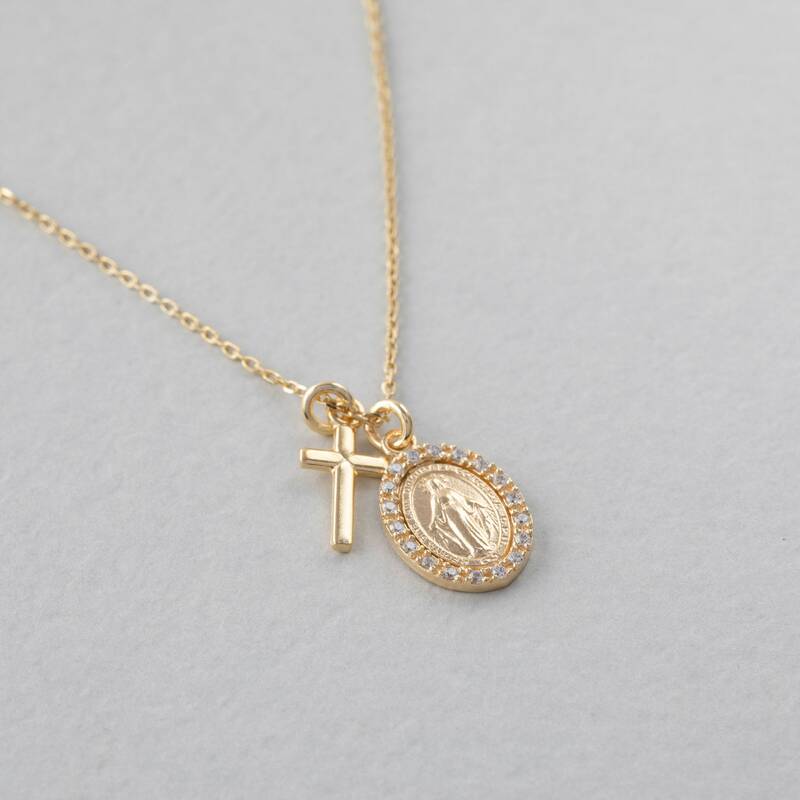 The Virgin is framed with Zirconia and the cross is designen without Cz.